Battle World: Kronos is an impressive turn based development that grew from a very successful Kickstarter campaign. Delivering a high quality experience with a huge amount of units, campaign gameplay and customisation opportunity it’s a shining star in a genre that doesn’t receive the same amount of love as yesteryear. The game throws players into a militaristic setting as you complete each level to learn more about the events currently taking place and uncovering the hidden plot. Every piece of dialogue is superbly written and adds a lot to the adventure. Battle World: Kronos offers two such campaigns, one where you’ll fight for the Yerla faction and the other for the Rebels which play out very differently. All up you can expect 40-50 hours of gameplay well above most modern day games which ensures great value for money before you even take into account the multiplayer. In both of these modes you’ll be treated to refined turn based combat that puts lots of control in your hands. 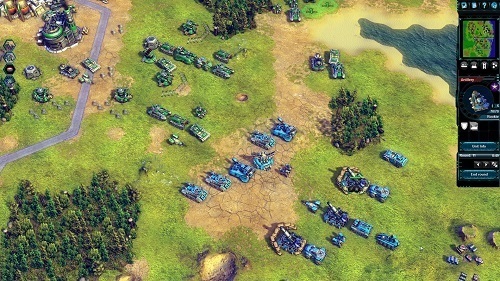 In addition to controlling all of your units (which vary greatly in their visual design and intended use) players have to manage their individual unit progression with a level system that lets you change a unit to meet your needs (such as improving a units range or choosing defences instead). Other mechanics that you’ll be exposed to in the campaigns include transporting vehicles, repairs, counter attacks, capturing buildings and wrecked vehicles blocking off terrain paths. 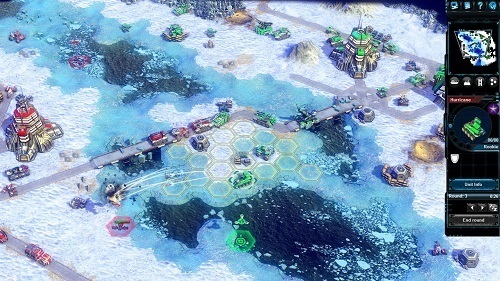 After you’ve trekked your way through the two campaigns and mastered the many mechanics that the game has to offer you’ll find a wealth of extra gameplay through multiplayer with features such as leagues, cross platform games (live or asynchronous) and a detailed map editor. Battle World: Kronos is a game for the veterans of the genre that don’t mind a high difficultly bar and a really lengthy game that throws scenario after scenario at you. Revives the turn based genre with high production values. Customise your individual units to meet your needs. Master many game mechanics to overcome the steep difficultly. Cross platform multiplayer lets you play with friends on any device.